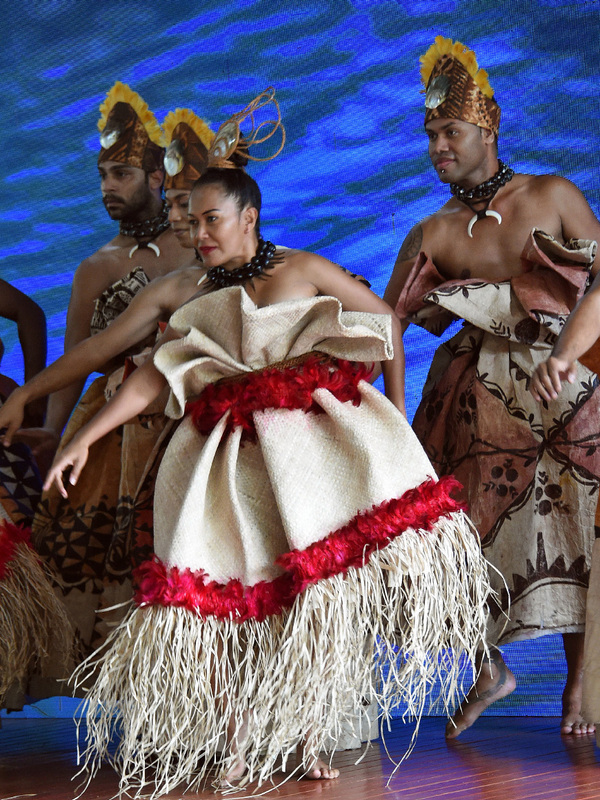 The programme for His Royal Highness The Crown Prince in Fiji today encompassed a wide variety of events, including a wreath-laying ceremony as well as sea, sport and theatre activities. The flood-prone village of Daku made a particularly strong impression. The first item on the agenda was to sample Fiji’s national sport: rugby. Rugby is the type of football that matters here. All three island states of Tonga, Fiji and Samoa have qualified for this year’s Rugby World Cup, and Fiji is up among the favourites. Fiji is also the reigning Olympic champion in “Rugby sevens”, having won gold at the 2016 Olympic Games in Rio de Janeiro. Preparations for the World Cup in Argentina are now in full swing. Crown Prince Haakon and Norwegian Minister of International Development Dag-Inge Ulstein had the opportunity to practise with the under-20 national team this morning. An explanation of the rules was needed before the two took to the pitch on separate teams. The training session took place at Albert Park – Fiji’s national rugby arena. 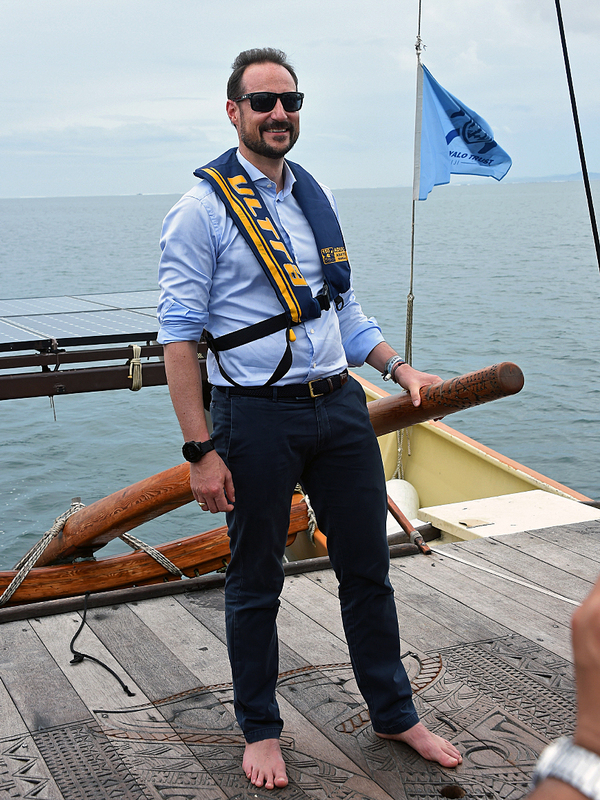 Crown Prince Haakon also had the opportunity to meet three Norwegians who are studying in Fiji, and to hear what it is like to be a Norwegian student here. The University of Bergen has collaborated with the University of the South Pacific for many years, and the two universities have an exchange programme. 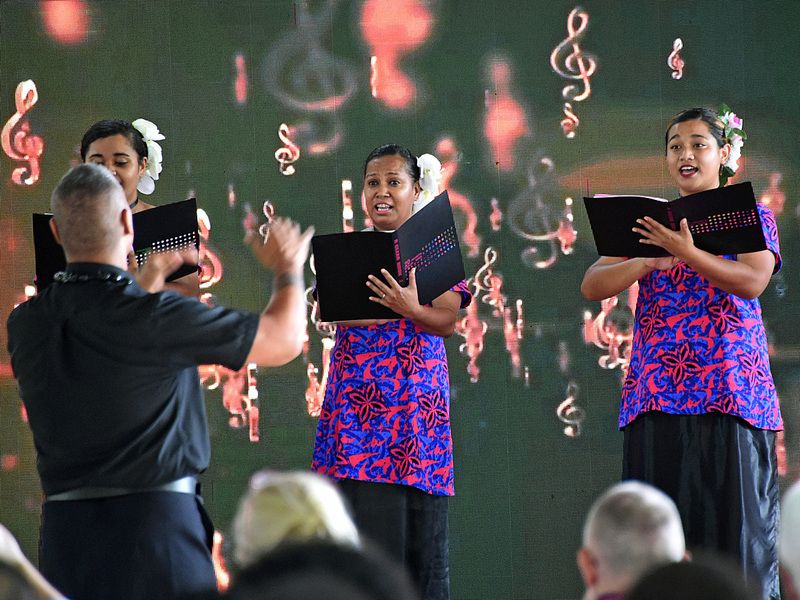 The Crown Prince met the three students while heading across campus to the university’s Oceania Centre for Arts, Culture and Pacific Studies. The centre attracts both theatre students and performing artists who work in the interface between contemporary and traditional forms of expression. Today, Crown Prince Haakon attended a student performance of a piece about the sea: the sea that gives life, but also takes it – and which can now destroy everything. Next came a trip aboard a traditional drua. While the Uto ni Yalo (Heart of the Spirit) is built in accordance with the old customs, it is untraditional in its use of modern materials and green technology. Moreover, the vessel is powered by solar cells in addition to sails. The boat has been around the globe twice and is used to promote sustainable, carbon-free transport. Collecting data about seaborne waste is another part of the vessel’s mission. The crew conducts beach clean-up operations and reports on the amount and type of waste collected. Two tonnes of waste were recovered in 2017 alone. In relation to its population, no country has contributed more to the UN peacekeeping forces than Fiji. Today, 680 members of the Fijian military serve in UN forces, including those in South Sudan and Iraq. 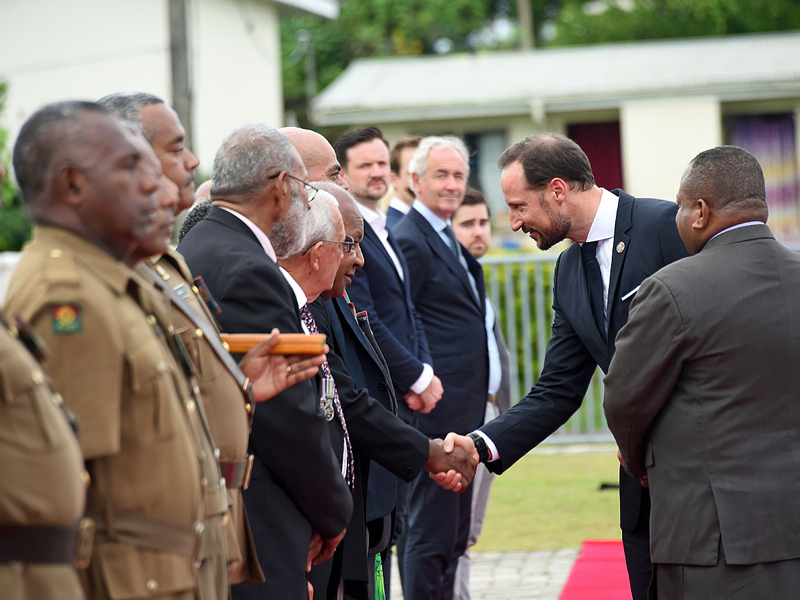 Norwegian UN soldiers have served alongside soldiers from Fiji, including in Lebanon, and today Crown Prince Haakon had the chance to greet some of Fiji’s veterans. 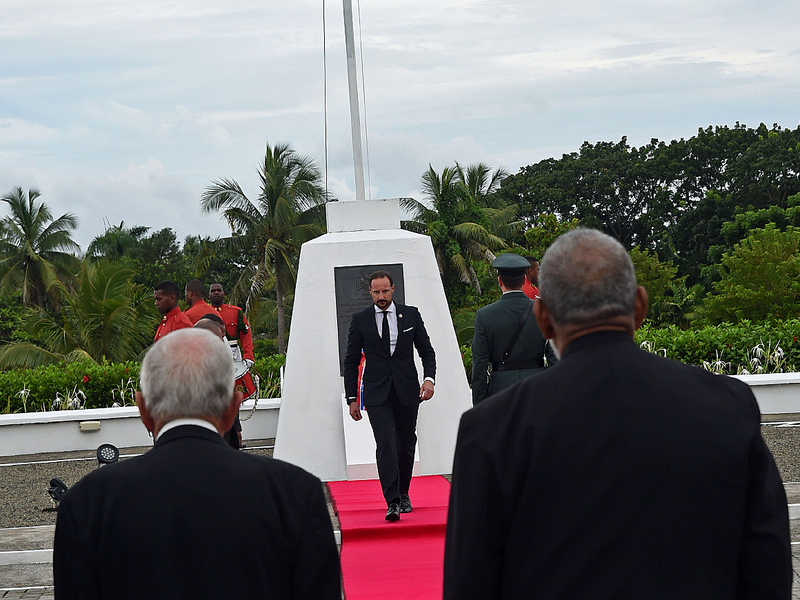 The meeting took place in conjunction with Crown Prince Haakon’s laying of a wreath at the National War Memorial this afternoon. 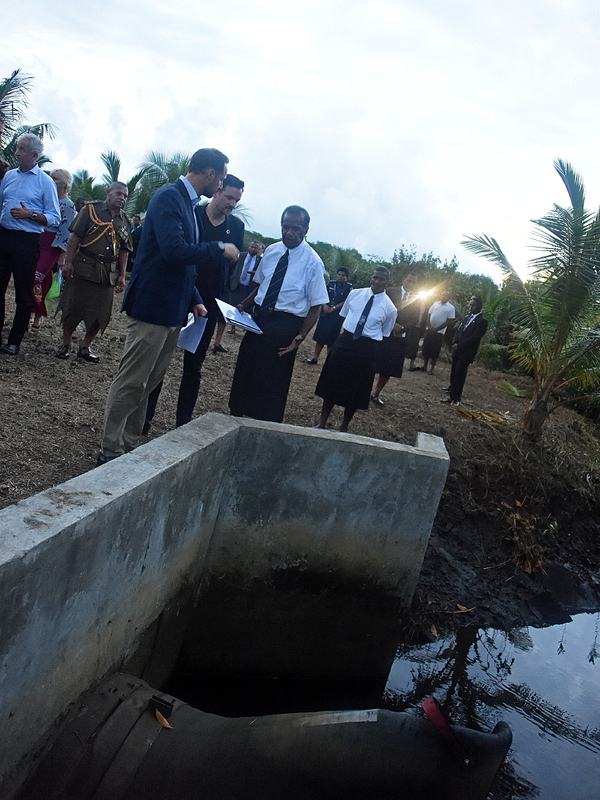 A visit to the village of Daku concluded the official visit to Fiji. 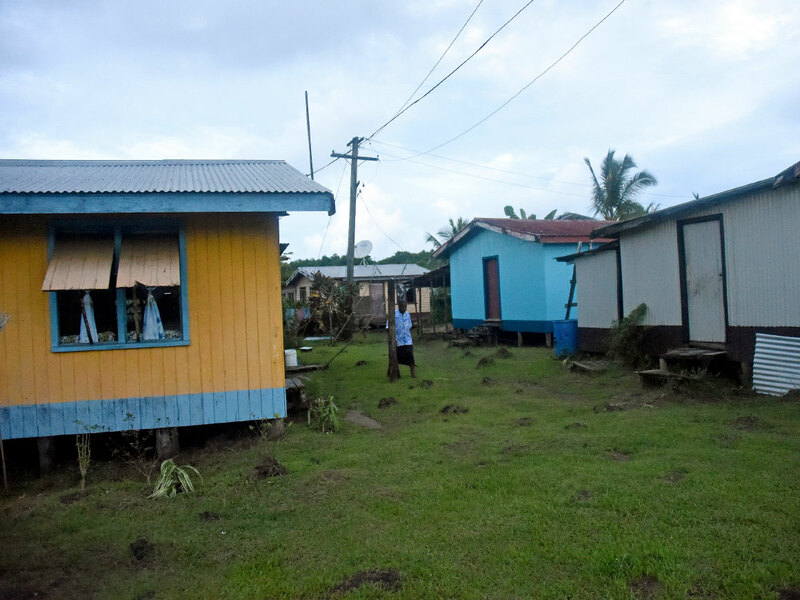 For many years, the village has been vulnerable to flooding due to the rising sea level, erosion and heavy rains that cause the river to overflow its banks. 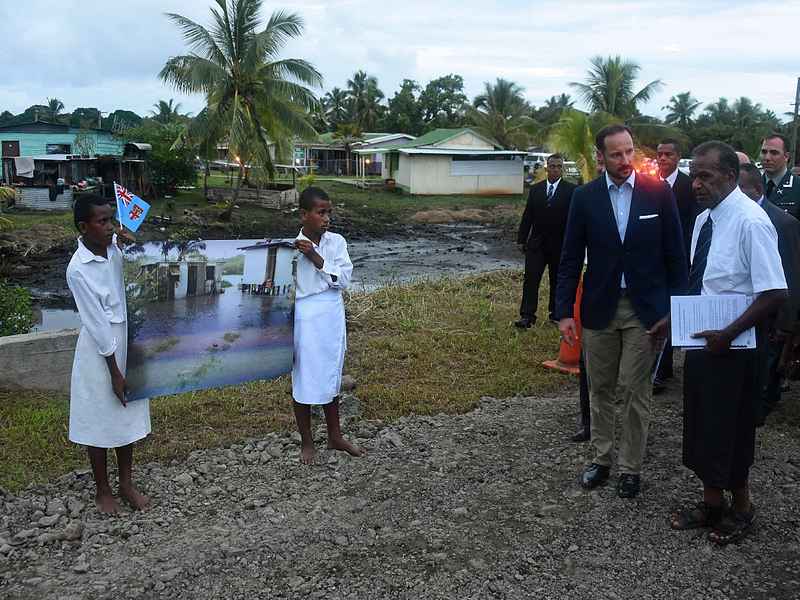 Crown Prince Haakon and Dag-Inge Ulstein met residents of the village who every day confront challenges arising from climate change and flooding. But the residents could also point to protective measures that work. The village has received flood protection development assistance and has constructed flood gates that hold the water back and guide it away. The hope is to be able to build more of them, so that larger parts of the village can be secured. 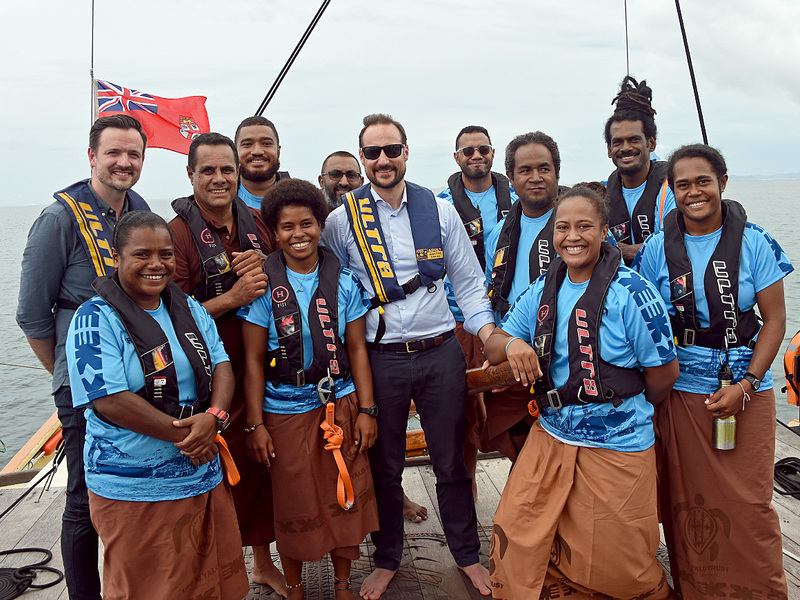 The Crown Prince and his retinue are now en route to the final destination of this journey in the Pacific: Samoa.